Our staff has the talent and desire to solve any and all challenges in both construction and service projects. 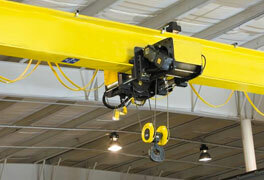 You can rely on PES, Inc. to service and install your overhead cranes, hoists and material handling systems. 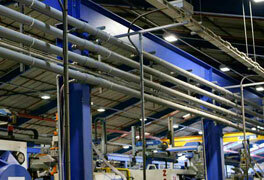 We excel at Industrial construction and production related service. We are proud to offer all of the above services to our customers. We are committed to, and focus on, total customer satisfaction and strive to provide the highest level of service possible for each customer we serve. The electrical services industry demands competent, experienced and responsive providers of service to address and solve customers’ problems. We offer a diverse portfolio of services that include expertise in the more technical niches of the electrical arena coupled with auxiliary skills and crafts that allow us to offer turnkey service for any facility or customer. It is our hope that our diverse portfolio, along with our commitment to honesty and integrity, will make Progressive Electrical Services, Inc. a front runner in the electrical services industry. "Since we started working with Progressive Electrical Services in 2005 we have not considered calling another contractor for our electrical service’s needs. 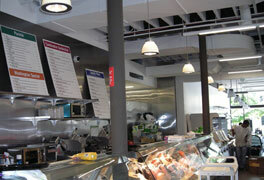 Chris and his team are responsive, knowledgeable, accommodating and professional. All calls are returned and all questions answered." Annual inspection, maintenance and repair of the intricate hoisting systems throughout the facility.